Envantage, Inc. has the expertise and experience to handle all of your Laboratory/ Scientific/ Analytical Instrument service and repair. We take pride in offering unsurpassed services at affordable prices. We stock a large inventory of equipment and parts and have the knowledge and skills to service your equipment and train your staff. We will repair, refurbish, or repurpose your instrument. 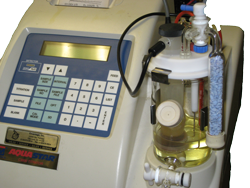 Services are performed at our full service analytical instrument repair facility. We offer training in instrument operation and safety. In addition, we offer ongoing support services to keep your instruments in top shape. Envantage, Inc. also offers a limited number of refurbished instruments for sale.